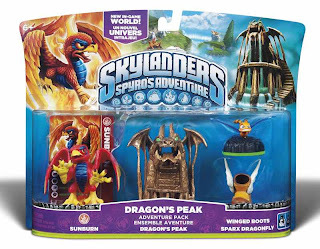 Activision today announced that wave 4 of it's hugely popular Skylanders action figure series' should now be at retailers nationwide. 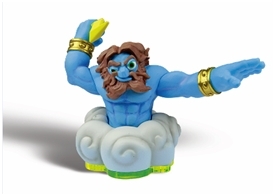 Of course, anyone who regularly collects toys knows that's probably a little bit of an overstatement as ship times vary greatly (depending on where you are) Then there's also the small matter of the fact that the Skylanders sets sell out in about five minutes whenever they appear at retail... and that might be a conservative estimate. Personally, I don't really ever see them anymore in the Metro New York area and haven't seen any kind of sustained presence since before the Holidays. People love these things. So probably the best advice is, if you want to add to your collection, you'd best not delay. Here's the newest 'headshots' for the new arrivals and a pic of the new expansion set. 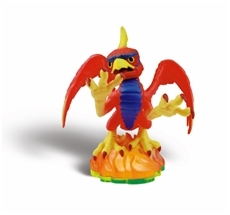 Lightning Rod is a celebrity among the Skylanders and joins Whirlwind and Sonic Boom to the roster of available air element characters. His primary attack, the lightning bolt, packs a powerful zap, while his secondary attack - grand lightning summoning - can take out a wider range of baddies. 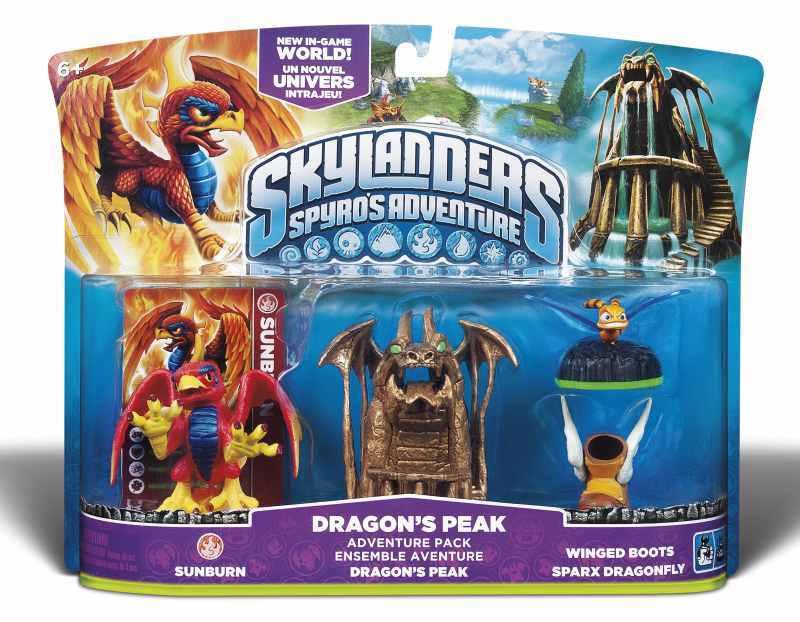 Sunburn is part dragon and part phoenix, making him one of the most unique creatures in Skylands. Sunburn hails from the fire element and although he can breathe flames like the best of them, he can also teleport to protect himself. Sunburn rounds out the line-up of fire characters, joining Ignitor, Flameslinger and Eruptor. 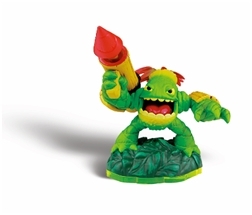 Zook is a life character and comes locked and loaded with a bazooka attack. His hand-carved bamboo bazooka fires special explosive thorns and he can protect himself with his foliage barriers as he wanders throughout Skylands. Zook joins Stealth Elf and Stump Smash in the currently available line-up of life characters.